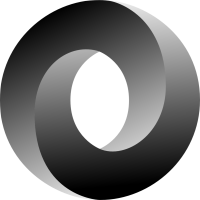 JSON Processing (JSON-P) is a Java API to process (for e.g. parse, generate, transform and query) JSON messages. It produces and consumes JSON text in a streaming fashion (similar to StAX API for XML) and allows to build a Java object model for JSON text using API classes (similar to DOM API for XML). Copyright © 2015, 2017 Oracle and/or its affiliates. All Rights Reserved.